Inspired by myths, legends and fairytales. Glaze colors to bring to life mermaids, lagoons, and traveling through space and time. 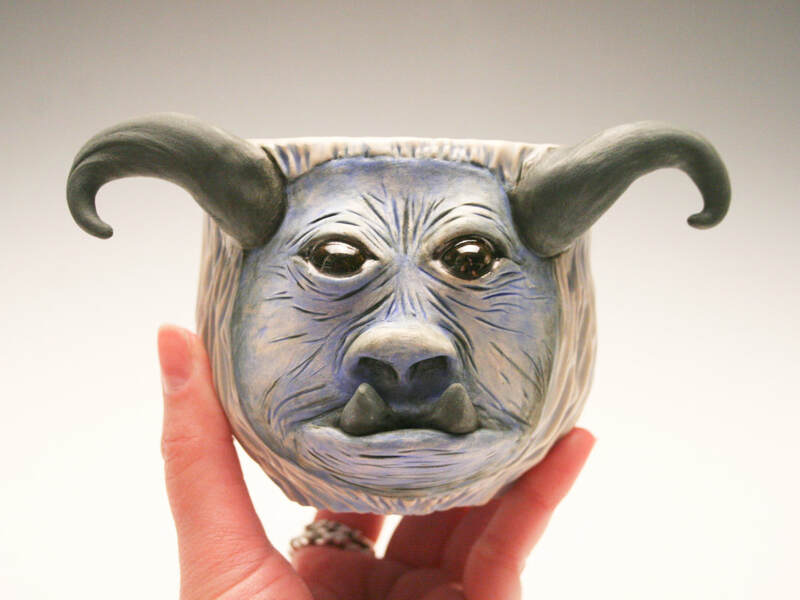 Stylized organic texture mixed with playfulness and metallic glazed eyes, each creature cup has their own personality. The cups are food safe and can be enjoyed with your favorite cold or hot beverage or have them set guard over your favorite pens on your desk at work. Check out the shop for availability! 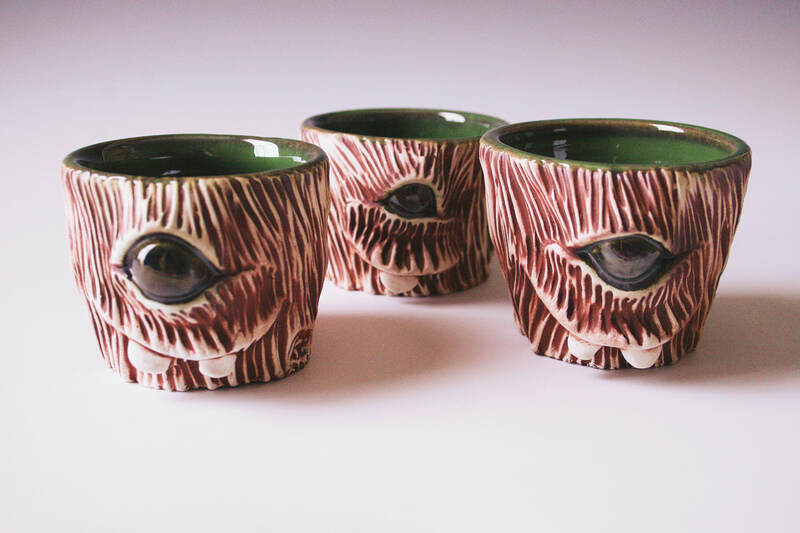 Now available, Mini Cyclops Cups! Inspired by nature and a desire to enjoy the beauty and simplicity of the little things in life; coffee with friends, a fresh bowl of strawberries in the summer, a hot cup of tea and a book by the fire. 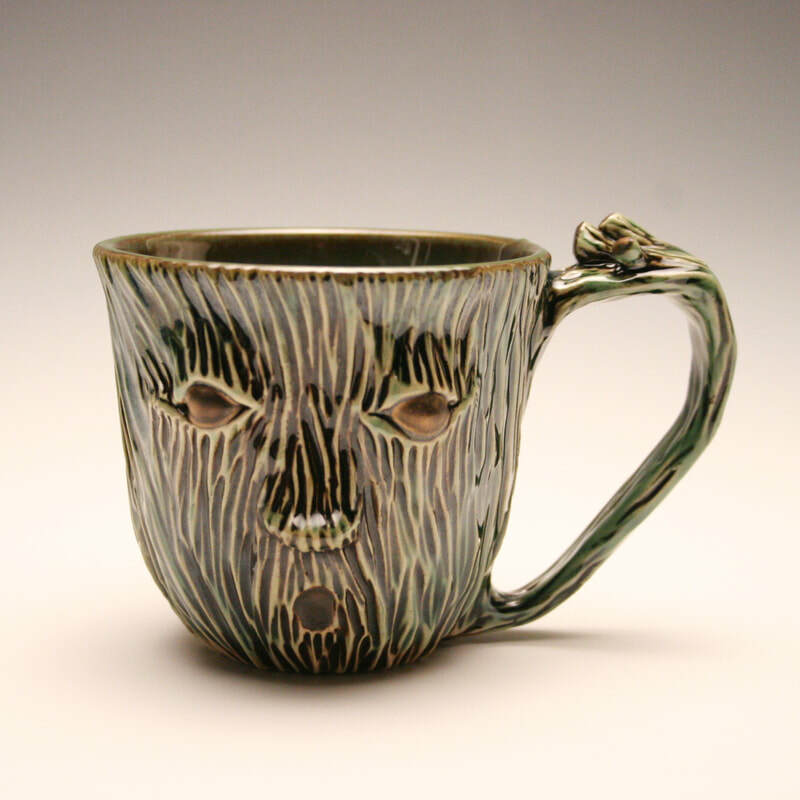 Check out the shop for availability on functional pottery for the home or to give as a gift to someone special.